Off Topic. Dear Admin please move this first post of a newcomer to the Newcomers thread. Its is not just off topic, it is "off the planet". I see in their profile they say they are 'friends and family of' but it reads like some Indian BK who is trapped in the "Intoxication Phase" and regurgitating Dadimat. Please seal this thread. There is no end with this talk. We have small technical problem with the forum search function. The rest of the board is running as usual. As time allows the matter will be resolved. Your patience is appreciate for periods whilst the forum may not be accessible. Re: I have a lot of doubts. I felt sad by reading this. Supreme Soul is not there in BK, then how can they say answers to your questions? For any question in this world, only Supreme Soul will answer not human being. Supreme Soul had no voice to answer so he enters into ordinary man (not rich man or woman). How these BKs are saying that Supreme Soul went in middle only? He did not come to visit earth, he came to take all 700 crore people and all types of animals souls to Paramdham. Even the BKs did not give Murli's to me. So I went to Advance Party, there I got answers to all my questions. This is my personal experience. do not feel sad, Shiva Baba is only sending this message with me. We directly (facing him) ask questions to ShivaBaba, we have no mediators, gurus or Seniors in between. You know, I did not even give a paise upto now. He is very affectionate like own Father. He will take care of every soul. The BKs are keeping knowledge secretely, but we do not. If you have any doubt you can ask me. My ID is:jayasreeyadav@gmail.com. Can you say the place where you belong? Take one more chance to join advance, I give security that you will feel 100% satisfied. See, in shastras they show gyanganga with Shankar. You ask 1000 questions he will answer every thing. We read your letter. RajYoga means raaj=secret+Yoga, the Yoga of secrets. BKs cannot explain this. Only the Parampitha Paramathma can say about this. BKs say Supreme Soul went away. He did not go away. As he is soul he has no voice, he entered into ordinary man and is doing the work now.The BKs are not recognising this. Brahma Baba only entering into the body of Gulzar Dadi. Shiva Baba is there on this earth only. ShivaBaba is saying the secrets of starting, middle and end of the universe. do not beleive BKs. Supreme Soul will not be with people who deceive others. There is Advanced Knowledge where there is no need to give a penny. Will Supreme Soul needs this physical money invented by man? They will clear all your doubts. There are no guru's, Seniors, Didi's and Dadi's. We have only one Satguru. Try to take Advance Course.Your doubts about rajayoga will be cleared. Try doing a bit of Yoga enlightened ... if you not feeling comfortable do not involve too much. Kate wrote: You sound like a chief defender of BK cultic activities. I never wish to receive lectures about their goodness etc. I have experienced and witnessed their evilness. ni-bu wrote: It is not true kate, I understand and realised the situation you are in, and feel very sorry for the same. But it doesn’t mean that organisation as a whole is bad and as you say 'evil'. I honestly respect your feelings, and at the same time I can understand “his” situation which you may not. As he said, Baba is his first love, it means that through that ocean, he is collecting all the love and he is showering it on you ... How much you are in love with this BK can be clearly understandable from your posts and I really respect the same. Have YOU tried to collect the love from the ocean of love and then try spreading it to the souls whom you love most. You will experience the purest form of love, of course free from all vices. It is just like the honey bee collect the purest form of juice from the flower and then accumulates it which then take the form of pure honey. Love in today's world is also corrupted and diluted. Just believe and try experiencing the truest form of love. Please read my post in the topic “Stay on the ship please ...” and to tell you honestly, this website is exclusively for the ex-BKs and totally negative towards the organisation, I don’t know why, and I don’t want to know it either. But I really felt bad for you and tried to convey my blessings towards you ... (please note that I have created new account just for you ...). Keep well and cheer up ... GOD is always there to help you ... everything will be just fine. I do not't understand why ex-I is afraid of me...? Everytimes he is removing my posts... Come, be a man.... if you are true, use your real names ON the forum....You are misguiding the people. desi_exbk wrote: Why do you use 'Nischaybuddi'?! Why not use YOUR REAL name? How come you are not MAN enough 'ni-bud'?!! Whom are YOU afraid of? would be good if there is a translation of lyrics in English. looks like the fans were deeply immersed. ex-l wrote: Ambedkar was a Doctor of Law not any therapeutic healing art. For God's sake, "If you don't know, don't open your gob to advertise it." But you are right - i did jump to that most common of conclusions. 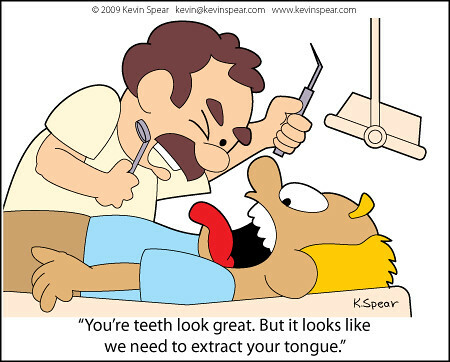 If he was a dentist would that have counted? button slammer wrote: already mentioned and ignored, is the hard fact 'The Buddha is Dead'. Buddhism ceased to exist the moment Buddha died. filthy Shudra wrote: Yes, the person known as the Buddha is dead. At least we agree on that! button slammer wrote: Just what happens at death according to Buddhism? You are a button slammer - I am sure you can research that for yourself. button slammer wrote: To be perfectly accurate, BK has no connection with Prajapita Brahma. ... Dada Lekraj = Brahma Baba. Prajapita Brahma = Veerendra Dev Dixit. Brahma Baba = Dead. Prajapita Brahma = Living. Oh i see, it is an indisputable mathematical equation! Perfectly accurate indeed. button slammer wrote: You, my dear friend still do not know what the Buddha taught. He never wrote down a single word. He never signed an official biography. He never painted a picture. Nor did he ever give any official confirmation as to who understood him the most. Same with the BKs. Brahma Baba simply died. Whatever knowledge, if any, went with him. In fact, the BKs cannot even prove that Brahma Baba spoke the Murlis. Even with the availability of technology there is no proof that Dada Lekraj/Brahma Baba spoke a single Murli. Some audio recordings are there but they could be spoken by the local garbage collector for all we know. While meditating on your previous post, the evening sky grew lighter and a beam of sunlight meaningfully shone through the hole in my curtain and illuminated my lotus chakra. I saw a vision of Shakyamuni who touched my head and then , amazingly, seemed to step inside me. i then heard myself as if from afar saying "You am I. You are my official representative and interpreter of the dhamma. Every generation i trade up to a new vehicle and take the dhamma wheel for a spin. The old sangha has lost its way, and dear bikkhu you were my right hand man back there in Varanasi many lives ago." I expect that many won;t believe me and there will be an anti-party who call me an anti-party. I will however remain humble and avoid VIPs to prove my worthiness, not that i need to. No interpretation is of any value. Have you realised yet how relationships are formed? Relationships are formed through the body. What about the relationship between the hypotenuse of a right angle triangle and the square of the sum of the two other sides? A perfectly accurate and a most reliable relationship. filthy Shudra wrote: That Buddha was a human.....parallels philosophically and contemporaneously other great humanists like Protagoras, Heraclitus, Democritus and other pre-Socratics (for whom the case could be made were directly or indirectly influenced by Buddhism and vice versa). button slammer wrote: Well, this is also what BKs do. They like to rub shoulders with VIPs. Brand names. Big themselves up by keeping the company of apparent great personalities. Yes BKs do love to rub shoulders with VIPS, they enjoy having hteir palms greaqsed as well.When i get together with my long dead VIP mates and we can avoid the paparazzi, we have barely two pennies to rub together between us, our relationship is Platonic , we don't rub shoulders or anything much. Just challenge and argue the toss. What part of the anatomy do PBKs like to rub? Filthy, please leave the jokes to Mr Green and ex-l. You would do well to learn from their different styles. Find the 'middle way' old friend. Nothing too extreme for you from now on ... OK? The last two posts above were moved from here: Comparing Buddhism and Brahma Kumarism. 'On topic' content was left in place. Please keep on topic, not clutter up topics too much 'off topic' material, and limit the damaging comments about others. Is that official administration's position, or an opinion? See: Editorial Policy, Forum Guidelines and Site Disclaimer.